Get a behind-the-scenes glimpse into Weta Workshop and the impressive work created within, on a guided Weta Cave Workshop Tour. You'll see some of the props and models they've created over the years and learn about the processes they use to make cool stuff! In the Weta Cave, you will gain an exclusive insight into the creativity and imagination that goes into crafting the art of Weta. Check out the behind-the-scenes video of Weta including interviews with Weta co-founders Peter Jackson, Richard Taylor, Tania Rodger and Jamie Selkirk. Come face to face with some of the characters, props and displays from your favourite movies in their mini-museum, and read the stories of how they were brought to life and learn about the artists who created them. 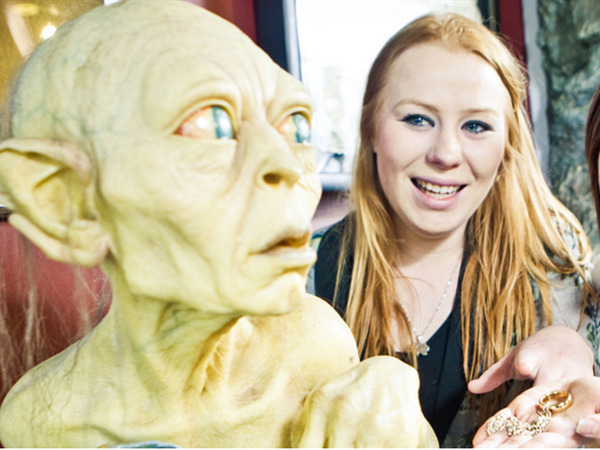 To Visit Weta Workshops Website, Click Here.